Each state’s direct shipping law is unique in the amount of alcohol legally allowed to be delivered to residents. 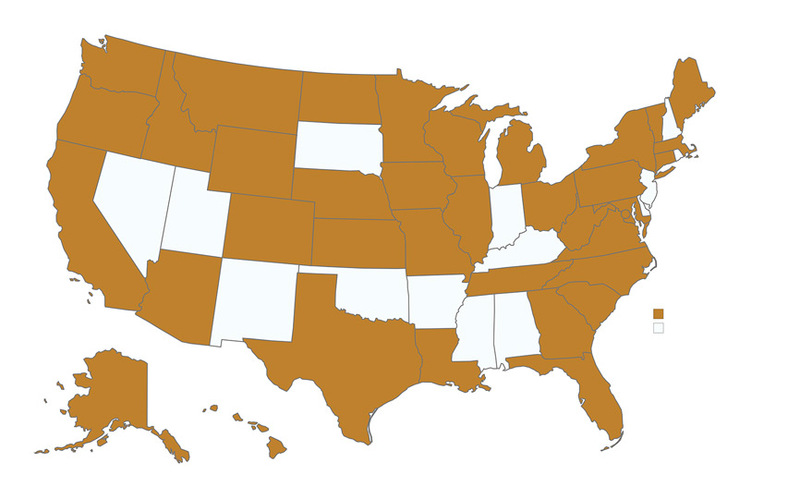 As a result, Chamisal is not able to ship wine to every state, even in limited amounts. Chamisal Vineyards can only ship to the following states: AK, AZ, CA, CO, CT, DC, FL, GA, HI, ID, IL, IA, KS, LA, MA, MD, ME, MI, MN, MO, MT, NE, NV, NH, NJ, NM, NY, NC, ND, OH, OR, PA, SC, TN, TX, VT, VA, WA, WV, WI, WY. In order to guarantee proper temperature control of the wine during shipping, we ship as many orders as possible on Mondays, Tuesdays and Wednesdays. For more information, view our shipping policy.